Keep your supplies safe with the ASEC Lockout Safety Tag. 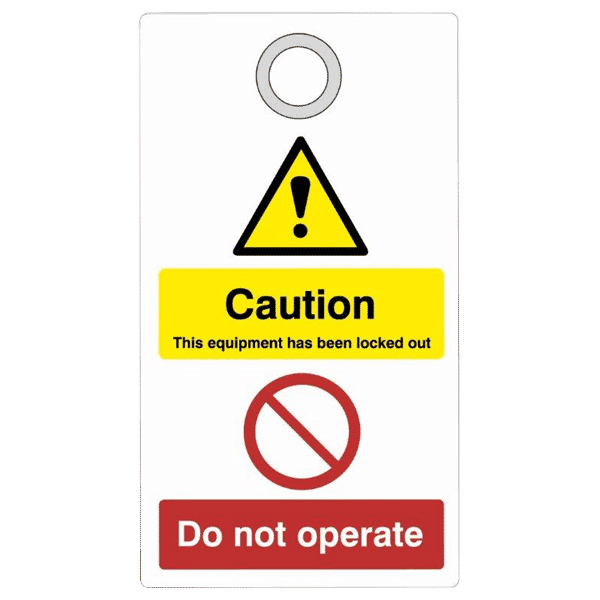 These durable, hard-wearing polypropylene tags are designed to be used with a lockout device to provide information regarding the lockout procedure, with space for adding written detail and printed using highly visible UV-resistant inks. Their highly visible red and yellow finish ensures the message stands out, and that user correctly follow the appropriate lockout procedure. This product comes completed with eyelet to attach to shackle of the lock.